Maslany should have earned at least a nomination back in 2013 for the first season, but I guess “better late than never” applies beautifully in this case. 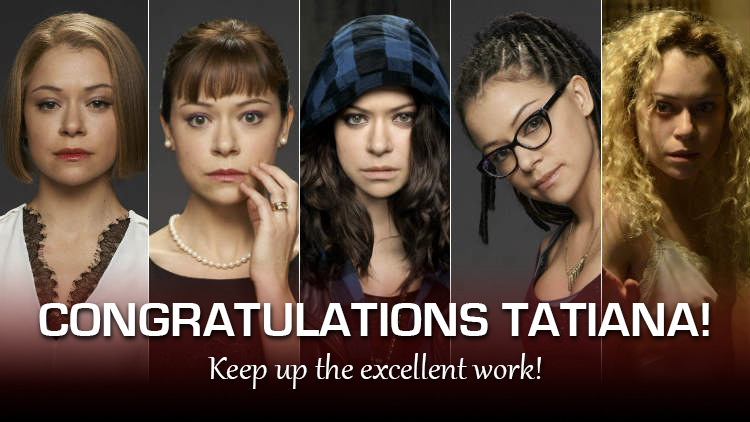 Here’s hoping now that the Emmy voters have acknowledged what a tremendous talent Maslany is, they also award her a well-deserved trophy come September. This entry was posted on July 16, 2015, 6:37 pm and is filed under Entertainment, Miscellaneous Stuff, Television. You can follow any responses to this entry through RSS 2.0. You can leave a response, or trackback from your own site.